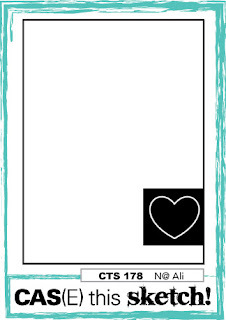 I have a card to share that I made last week at the same time I made this card. 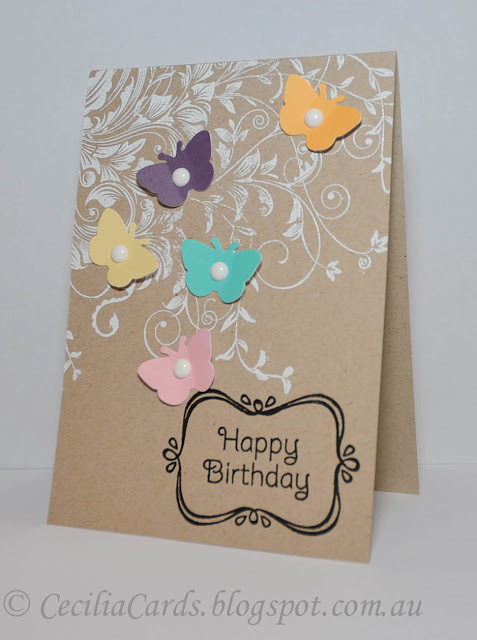 I decided to add some colourful butterflies to the card using Hero Arts card stock. I'm adding this to Simon Says Stamp Wednesday Anything Goes Challenge and Virginia View's Challenge #22 (Summer Challenge), so glad it is back again. Thanks for dropping by! 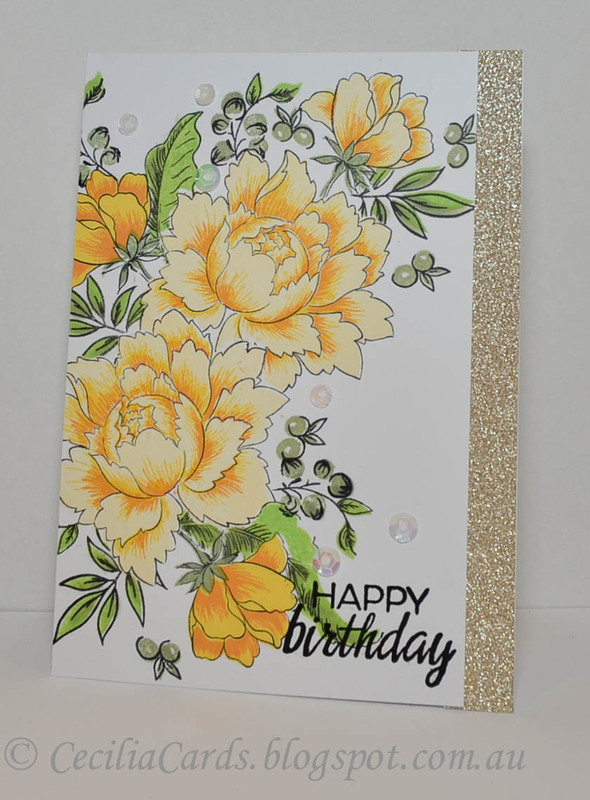 I've used: Hero Arts Leafy Vines and sentiment stamps, HA butterfly die, Hero Arts Card Stock, Neenah Desert Storm, Versamark, white EP and white pearls. I have a cute birthday card for a 13th year old who loves dragons. I used the dragon from Mama Elephant's Lunar Animals for this card based on the current CAS(E) this Sketch. Thanks for dropping by! 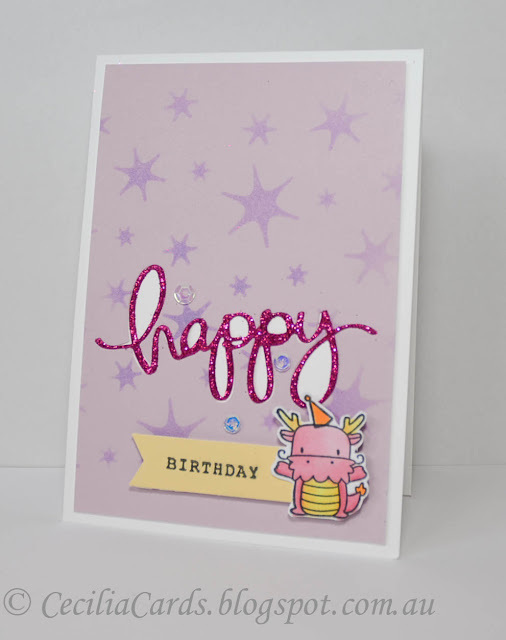 Materials: Mama Elephant Happy Everything and Lunar Animals, Winnie and Walter Stencil, Hero Arts Card Stock, Glitter foam, Copic markers, MFT Dynamics Fishtail STAX and Wilted Willow Distress Ink. I have an wedding anniversary card to share. The design is based on the current CAS(E) this Sketch challenge. 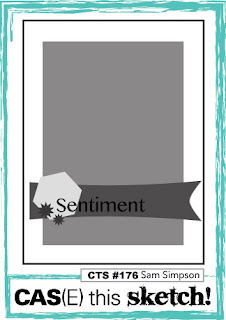 I white embossed a Hero Arts background stamp onto Neenah Desert Storm card stock and wrapped the Platinum embossed sentiment sentiment strip around it. 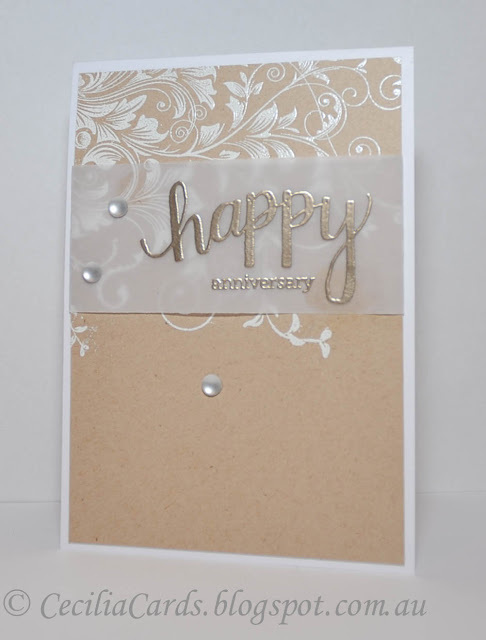 I'm also adding this card to the current A Blog Named Hero's Vellum challenge. Thanks for dropping by! 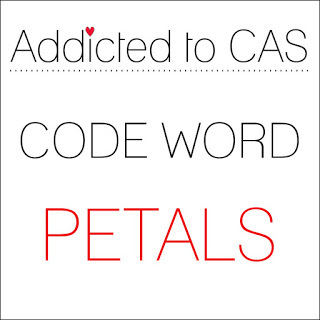 I made this card based on the current CAS(E) this Sketch and it took me a few goes before coming up with the card below. 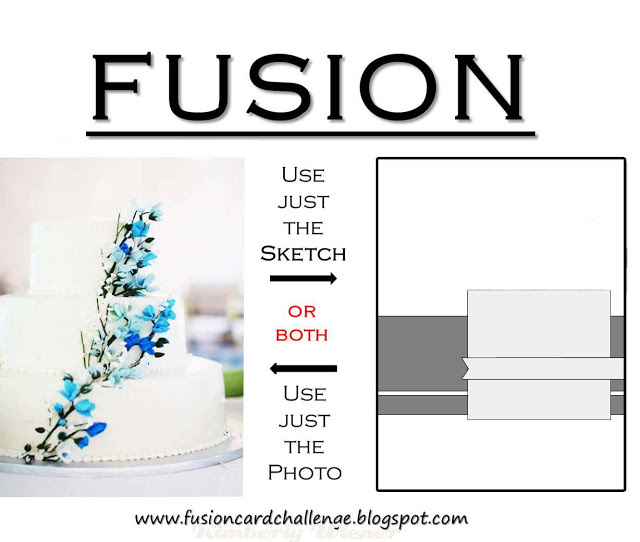 I had the idea originally to use an embossed brick wall with a flower and a fence... but I decided to scrap it. 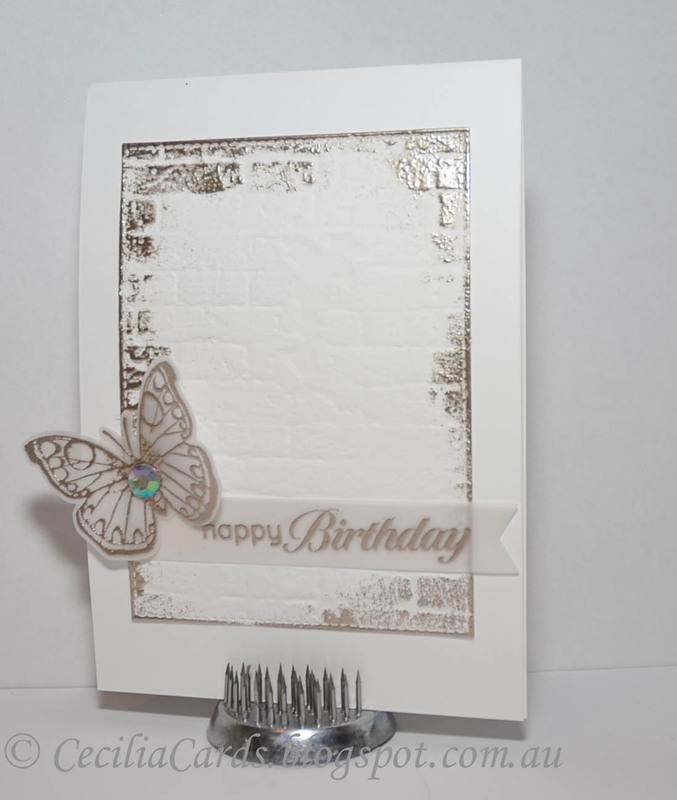 I then was going to use a wooden panel patterned paper as a background with a butterfly die... then I went back to my original plan and ditched the fence and used a vellum butterfly and a banner sentiment. I decided to emboss with Ranger Liquid Platinum on vellum.... and then I decided to add a little bit to the edges of my brick wall. Voila! 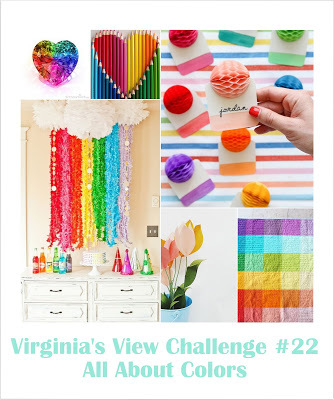 I'm adding this to A Blog Named Hero's Vellum challenge and a2z Scrapbooking June Challenge - To Die For. Thanks for dropping by! I've used: MFT DieNamics Stitched Rectangles, Tim Holtz brick EF, Vellum, Hero Arts Antique Butterfly and sentiment, Ranger Liquid Platinum EP, Versamark and Hero Hues gem. 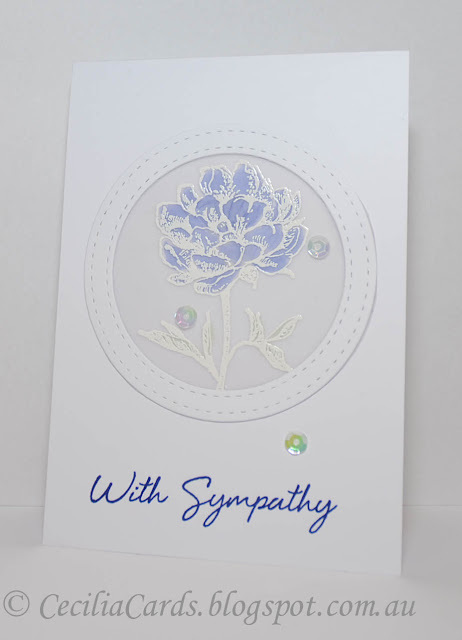 I have a Sympathy card to share. I wanted to use vellum with a frame to make it look like an embroidery hoop. I used two Stitched circles dies to make the frame and cut the vellum with the larger die. I white embossed the Hero Arts Classic Tea Flower stamp and coloured the back of it with Copic markers. 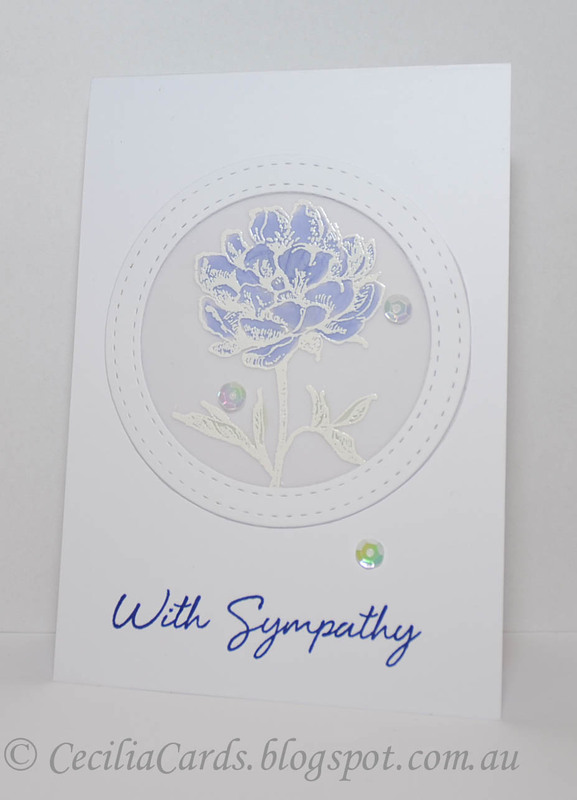 The sentiment was stamped onto the card base and the frame was mounted with many small strips of adhesive tape to prevent warping. 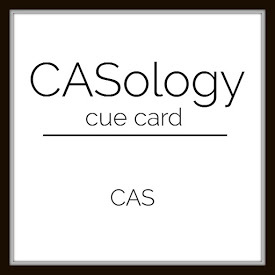 This is a simple CAS card and easy to make! I'm adding this to A Blog Named Hero's Vellum challenge, Less is More - Purple Colour and Addicted to CAS - Petals challenge. Thanks for dropping by! 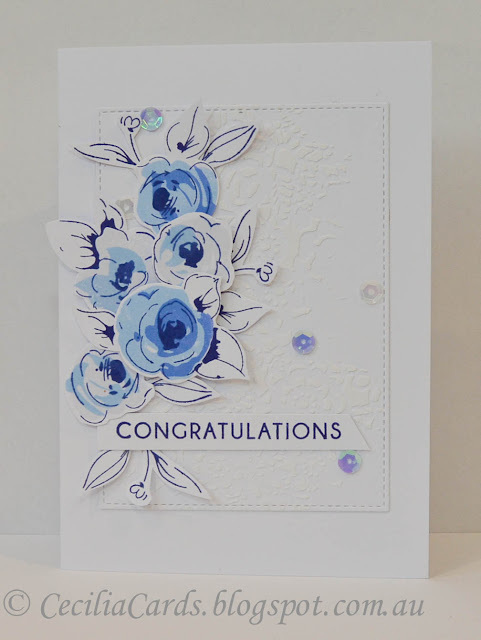 I've used Hero Arts Classic Tea Flower and Sentiment stamps, Vellum, Lil Inkers Stitched Circles Dies, Copic Markers, Hero Arts white EP, Versamark. 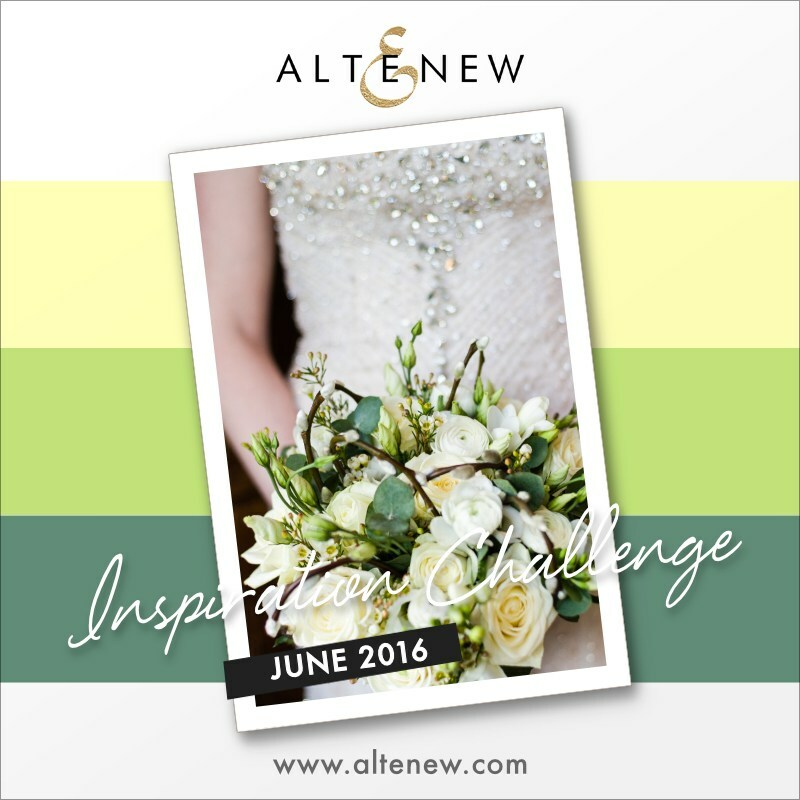 I'm still having fun with the Altenew Peony Bouquet stampset. Here is one with plenty of masking! I made two since I used my MISTI to line up all the layers of stamping. 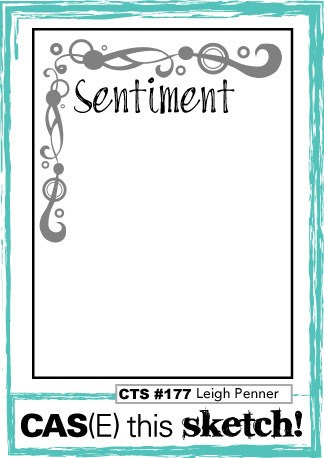 I'm adding this to Altenew June Inspiration challenge, Simon Says Stamp Wednesday Mask It challenge and Simon Says Stamp Monday Summer Garden challenge. Thanks for dropping by! Altenew Peony Bouquet, Winnie and Walter The Party, Altenew Inks - Summer Breeze, Warm Sunshine and Caramel Toffee, Ranger Archival Jet Black ink, Hero Arts Field Green and Green Hills, Kaisercraft glitter tape and some sequins to match the dress. I have a non-card project to share. 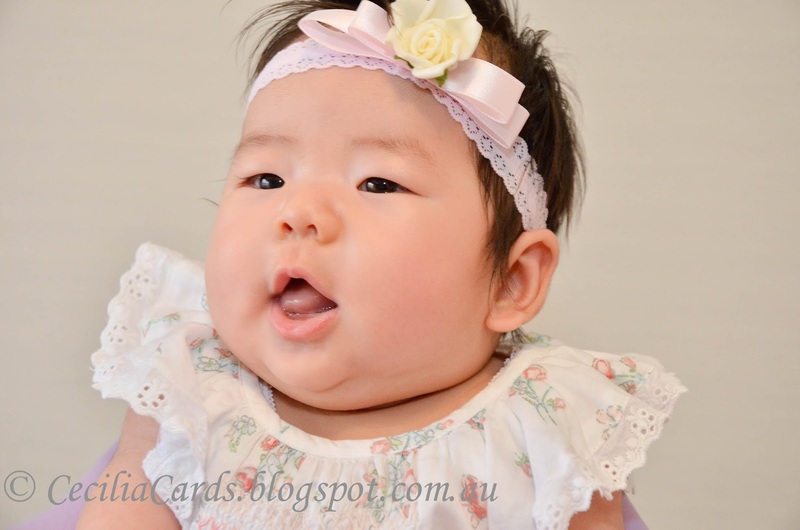 Friends of ours (Chinese/Japanese and Korean) invited us to celebrate their baby's 100 days celebration. In Chinese culture, we usually celebrate one month but in Korean culture they tend to celebrate 100 days. I decided to decorate some Kaisercraft wooden letters which I purchased when the baby was born.... and I finished it on the 99th day!! 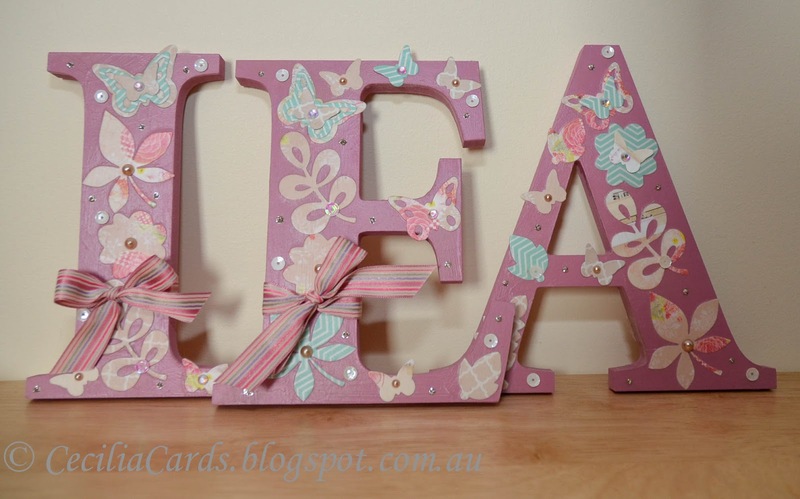 I painted them with a couple of coats of paint after removing the very sticky labels at the back of the letters. (Why do they use such sticky labels??) I then die cut a whole bunch of matching patterned papers (got to use up the stash) and stuck them down with a matte glue. I finished them off by adding some pearls, sequins, ribbons and stickles. I added a photo of Baby Lea - she was so good that day and let me hold her for quite a while! Thanks for dropping by! 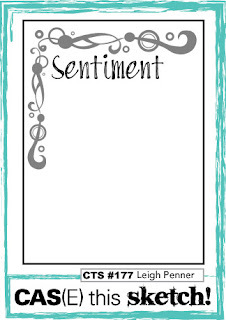 The dies I used were from Paper Smooches and MFT DieNamics, the letters, paint and pearls are from Kaisercraft. I have a fun card to share. 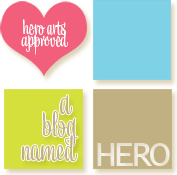 I couldn't resist this fun Hero Arts Layering Goldfish stampset. It was easy to line up the two layers. I stamped a few gold fish and clear embossed them before fussy cutting them. I decided to use vellum to create the background of weeds and bubbles. 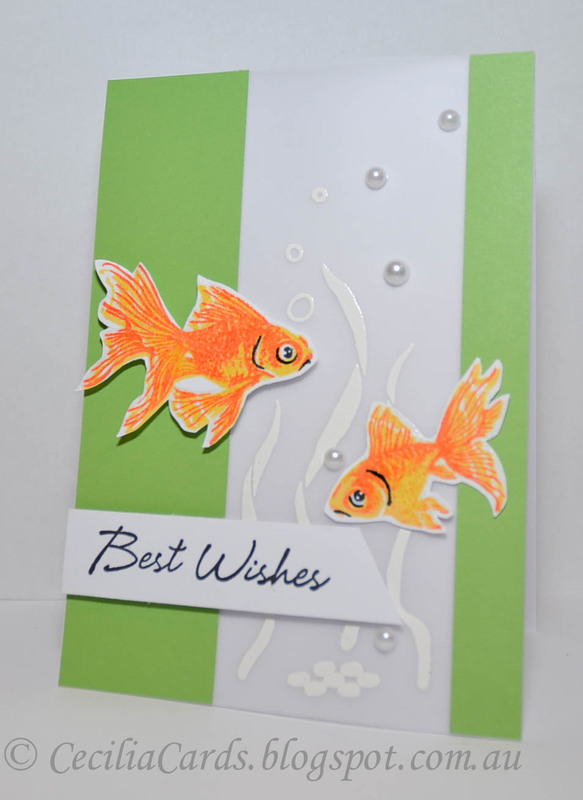 I now have a few gold fish ready for the next card! I think I need a 'Best Fishes' stamp!! 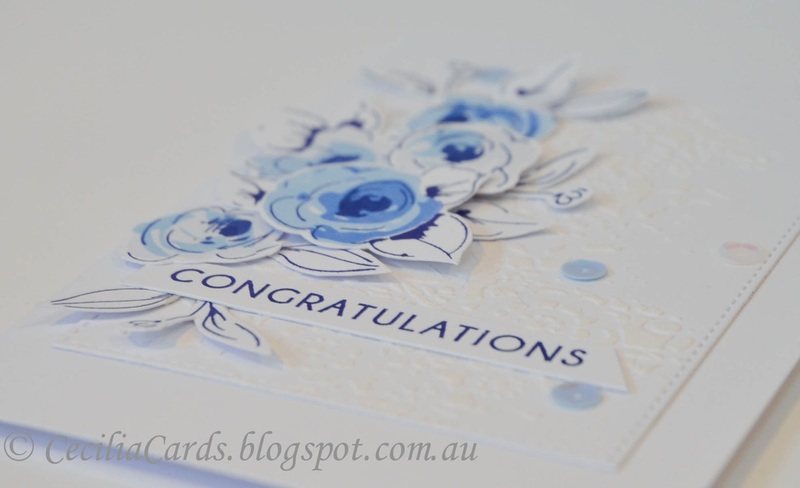 I'm adding this card to the current A Blog Named Hero - Vellum Challenge. Thanks for dropping by!